John Ringling imagined St. Armands Key as the jewel of Sarasota when he purchased it in 1917. The circus tycoon envisioned residential and shopping units that would take the form of a circle. He worked to bring the vision to fruition in the 1920s, but the stock market crash of 1929 temporarily halted Ringling’s dream. 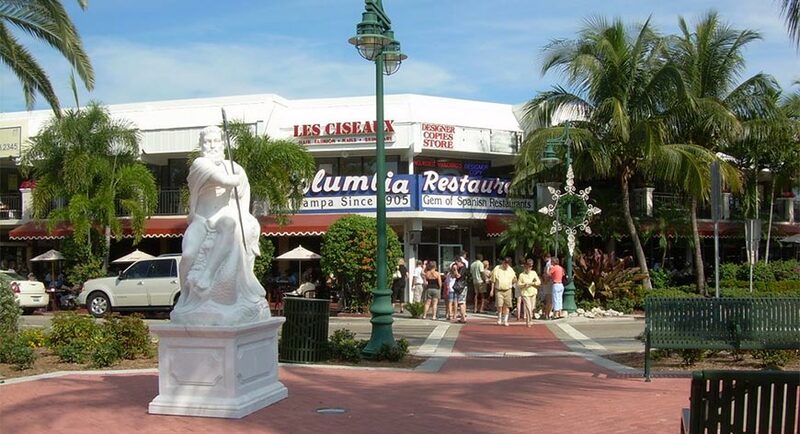 St. Armands Circle sat empty until the 1940s and 1950s, when businesses began to fill up the shopping district. 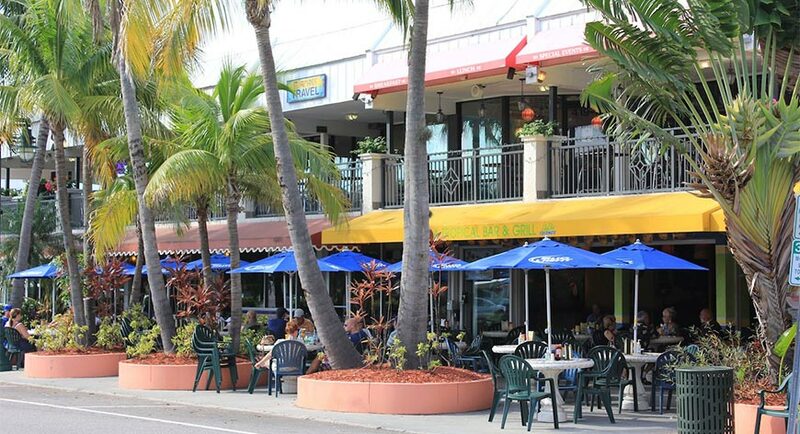 Today, the shopping district is the jewel that Ringling once imagined; it draws shoppers and diners from around the world.It is home to 130 businesses, including boutiques, shops, restaurants, galleries, salons and more. If you’re in the mood to shop, you’ll find high-end men’s and women’s fashion and accessories, jewelry, one-of-a-kind art, décor and gift items, antiques and a variety of specialty selections. The Circle is an ideal place for a day trip: After shopping, get pampered with a massage, hair appointment or manicure. Finish the day with dinner or cocktails at the Circle’s many restaurants. You will still find reminders of Ringling throughout the Circle. 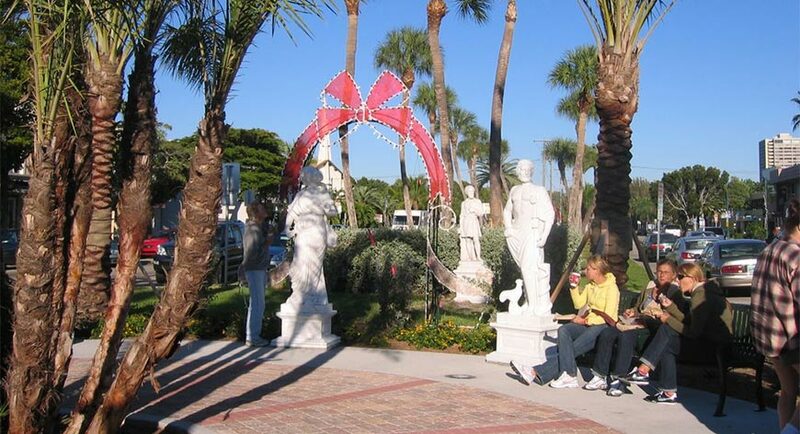 Ringling’s historic statues, along with newer statues that include the “Seven Virtues of Sarasota” are located throughout the Circle and St. Armands Key. The Circus Ring of Fame in St. Armands Circle Park also honors Sarasota’s circus tradition. It is like the Hollywood Walk of Fame for circus performers and contributors; each year the Circus Ring of Fame Foundation inducts new members. 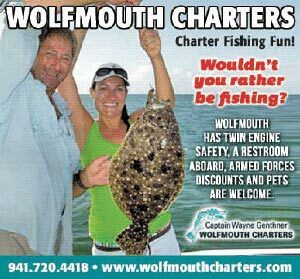 The majority of stores are open by 10 a.m. Monday through Saturday, and all stores are open by noon Sundays. Most stores stay open until 8 or 9 p.m. Breakfast restaurants are open by 7 a.m. seven days a week, and other restaurants are open 11 a.m. to 11 p.m. seven days a week. 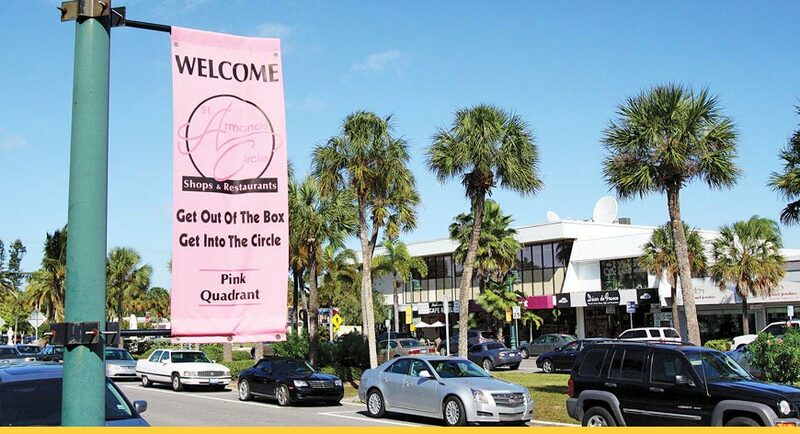 The Circle is also home to many can’t-miss events, such as Halloween “Fright Night on St. Armands” and Holiday Night on St. Armands. The Columbia Restaurant, which opened in 1959, is the oldest business on the Circle. 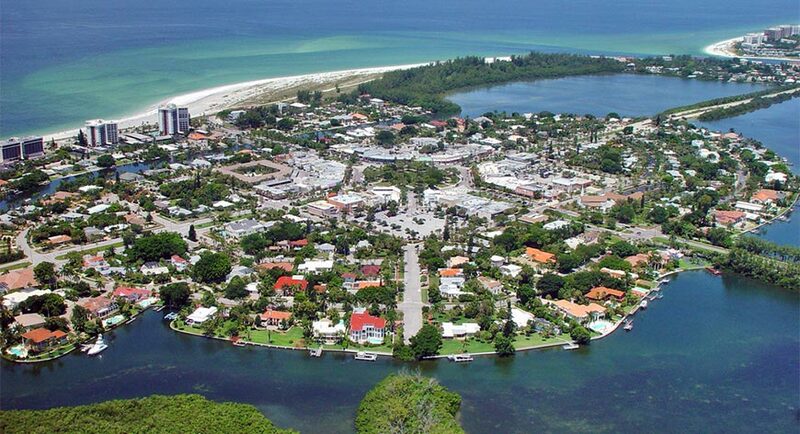 St. Armands Key is named for Frenchman Charles St. Amand — and, yes, that is a misspelling. St. Amand bought a total 131.89 acres of land on the key in 1893 for just $21.71, but his name was misspelled in the original deeds. St. Amand and other pioneers fished in the surrounding waters and grew produce, shipping it to the mainland. He sold the land for $1,500 in 1894 to Augus McInnes. The land was resold several times before 1917, when John Ringling bought St. Armands Key, envisioning a high-end shopping destination. In 1925, Ringling began work on a causeway that would join St. Armands Key to the mainland and used circus elephants to haul materials. Real-estate sales topped $1 million in one day in 1926, when sales of the John Ringling Estates launched. But most transactions were made with minimal deposits, which were forfeited or returned after the stock market crash of 1929 and subsequent Great Depression. 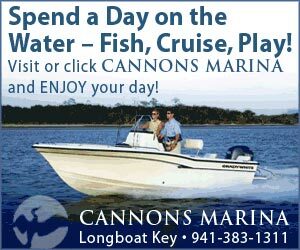 Ringling donated the causeway to the city of Sarasota, because he was unable to maintain it. For the next 20 years, St. Armands Key sat virtually empty, with vegetation growing over what was once the Circle. But in the 1940s and 1950s, businesses began to return to the Circle. By the 1960s, the Circle had a reputation as a premier shopping destination that it maintains today with more than 130 businesses. 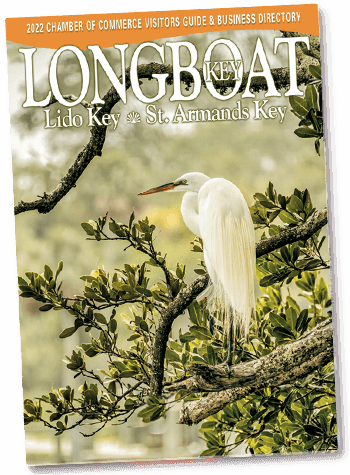 Approximately 750 residents live on St. Armands Key, many of whom are members of the St. Armands Key Residents Association, which was founded in 1951. 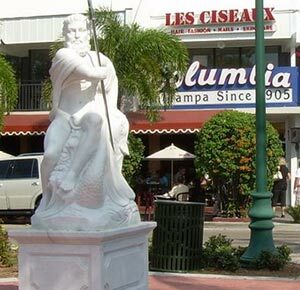 Recently, residents and merchants worked together to restore Ringling’s historic statues that are found throughout St. Armands Key. They symbolize Ringling’s vision for St. Armands and for Sarasota.